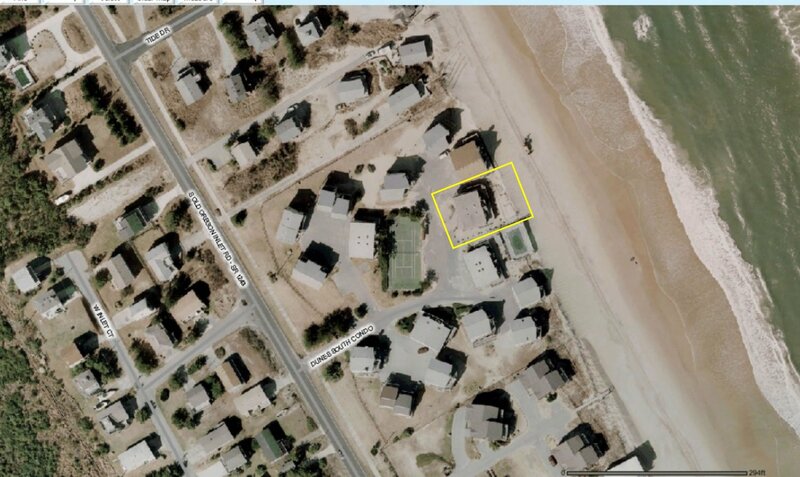 Address: 8643-p S. Old Oregon Inlet Rd. 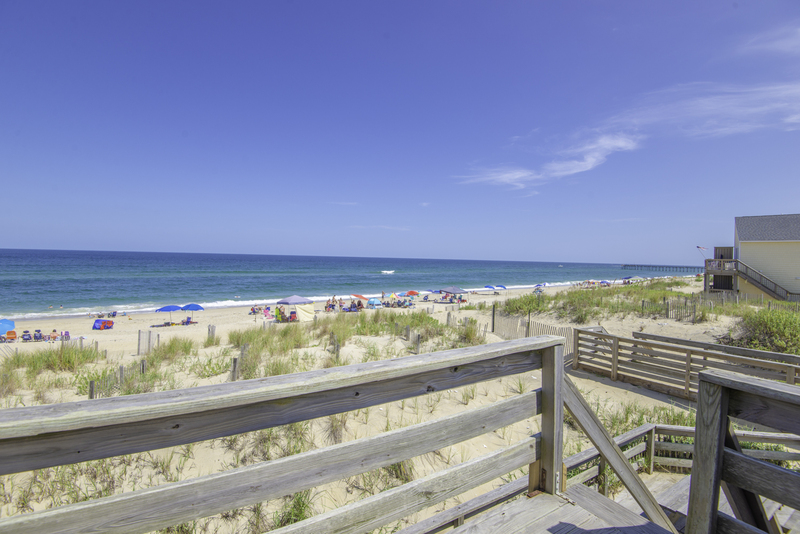 Dunes South Community. 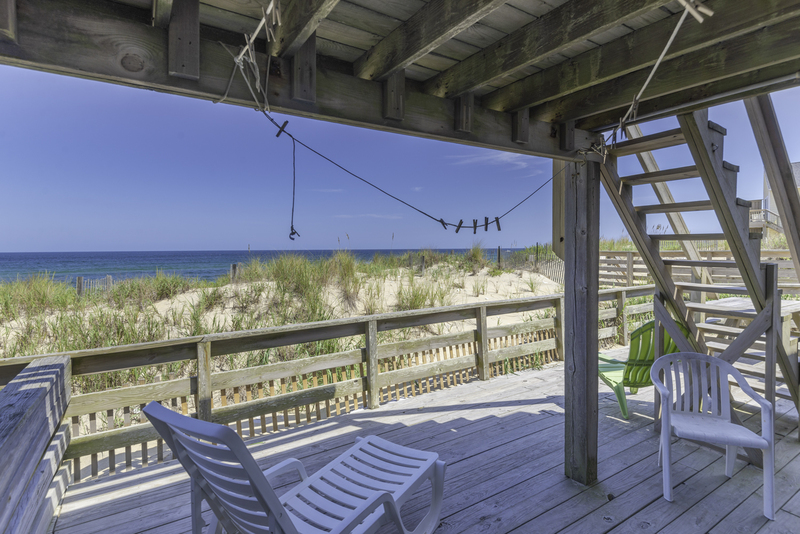 Terrific Ocean & Beach views along w/ comfortable furnishings & decor make "The Tannery" a wonderful place to spend your Outer Banks vacation. 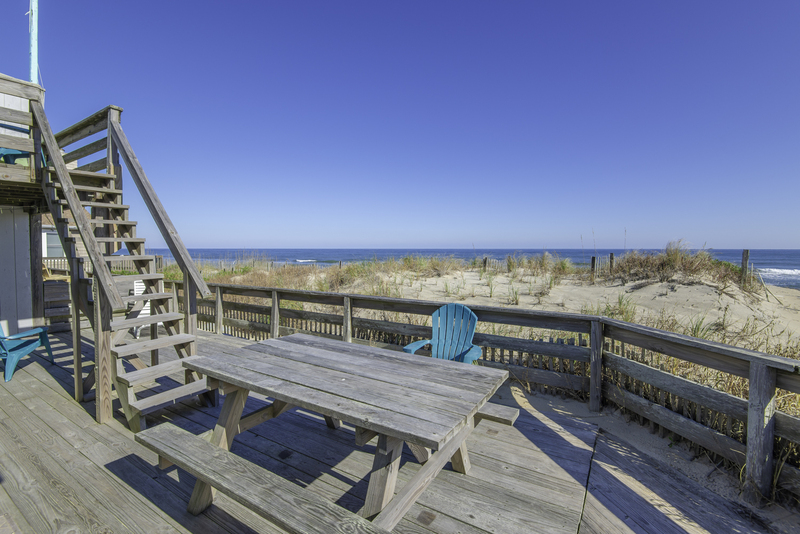 Spacious & well equipped w/ ample decking from which to take in the fabulous views. 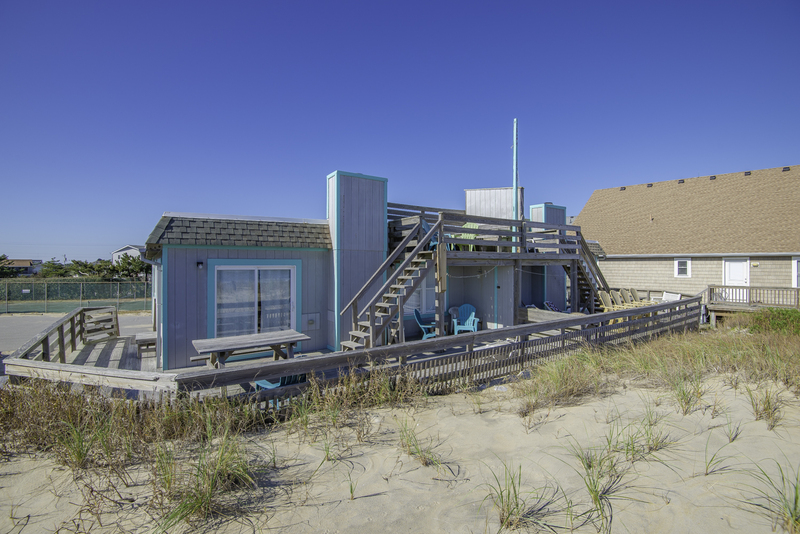 Enjoy the wide & uncrowded beaches found in South Nags Head & the peaceful setting this home provides. 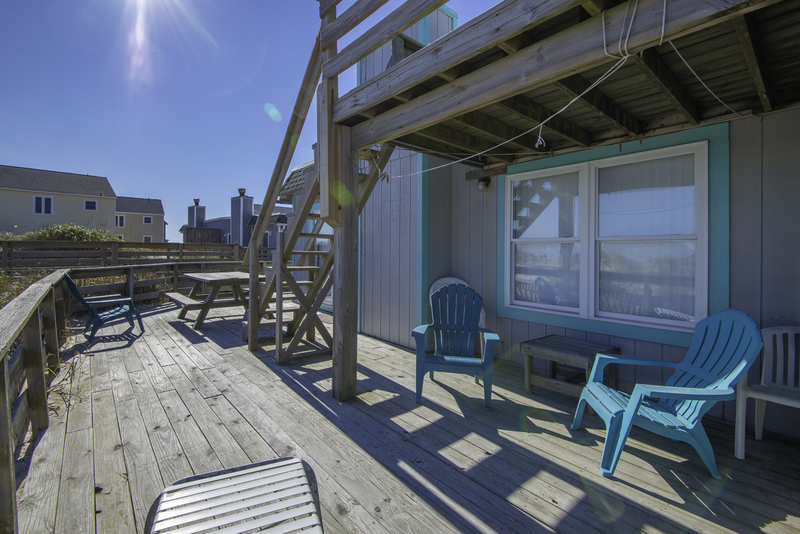 Just steps from the waves & convenient to local restaurants, shopping, & the Outer Banks Fishing Pier. 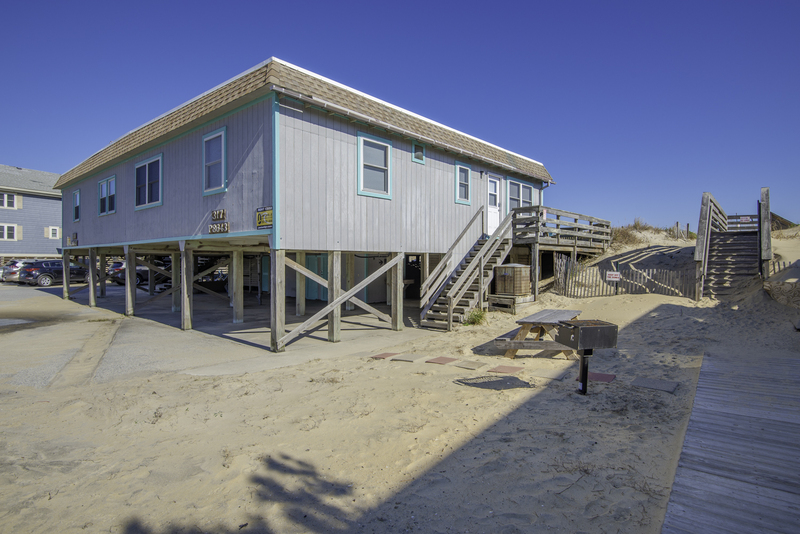 Ground Level: Parking for 2 Cars, Steps to Entry, & Large Enclosed Outside Shower w/Changing Room. 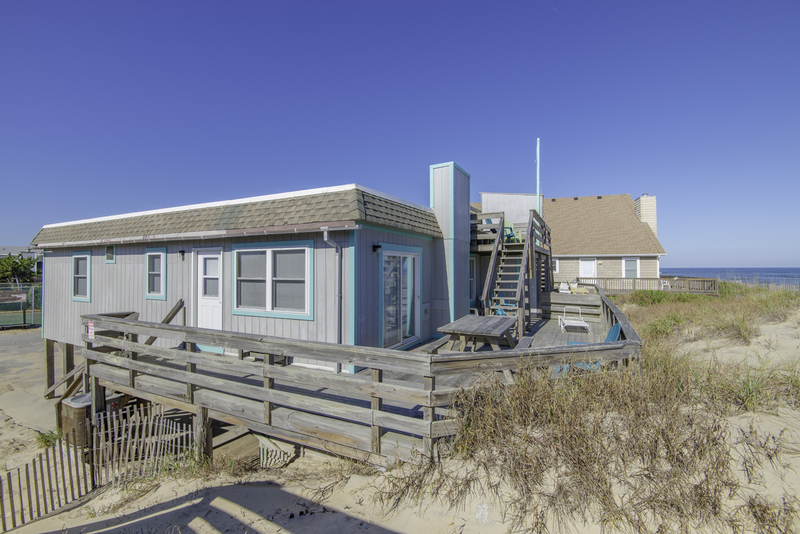 Main Level: Living/Dining/Kitchen Area, TV, DVD, 3 Bedrooms (1 w/King & TV, 1 w/Duo Bunk, 1 w/Double & Single), 2 Full Baths, Sun Deck w/Deck Furniture & Ocean Views, & Steps to Observation Deck w/Deck Furniture & Ocean Views. 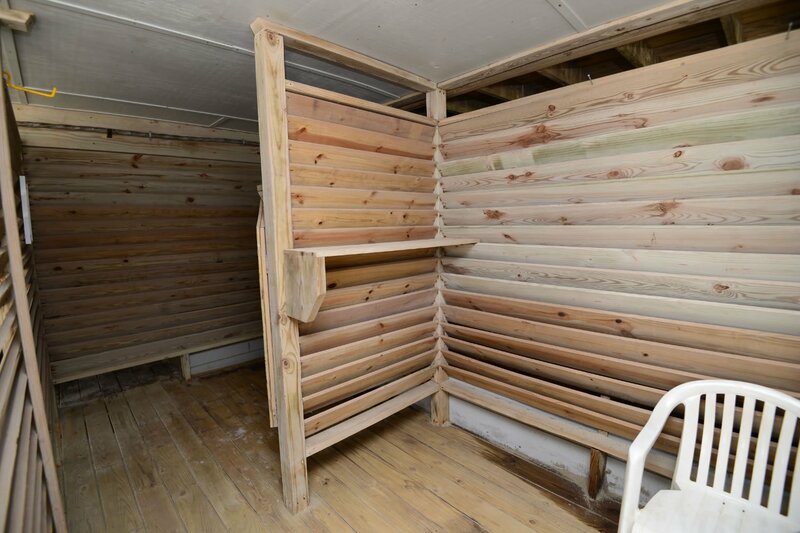 Features Include: C/AC & Heat, Washer/Dryer, Dishwasher, Microwave, Phone, 3 TVs, DVDs, Ceiling Fans, Wireless Internet, Community Charcoal Grill, Community Tennis Court, & Bike Path. Located Next to #318. No Pets. This is a Non-Smoking Unit. 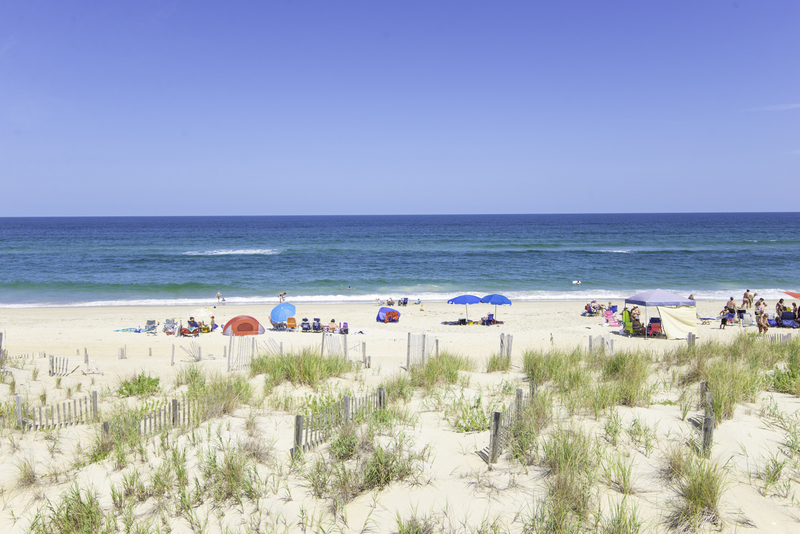 More details can be found here for the Dunes South Community. All compliments, including the cleanliness and updates to windows, carpet, ceiling, et al. 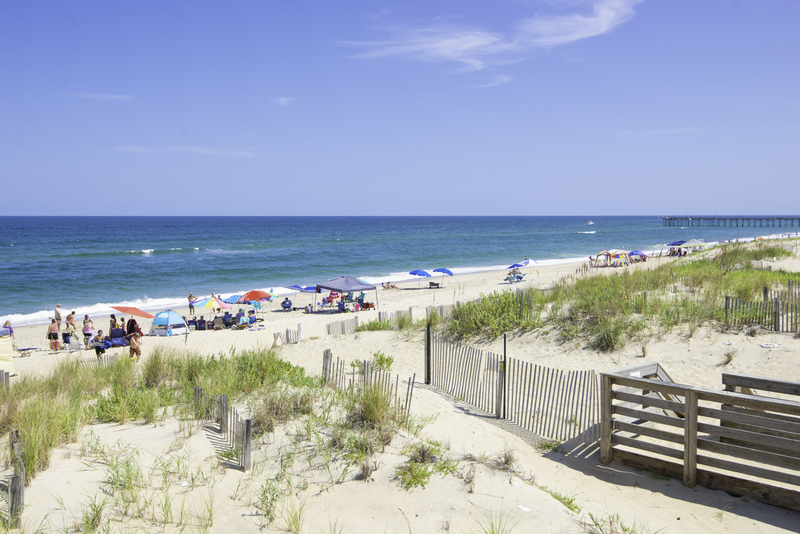 Location was fantastic — right on the beach — and the accommodations were perfect for us two grandparents, two kids, and three grandchildren. It was an absolutely perfect place and stay for us! 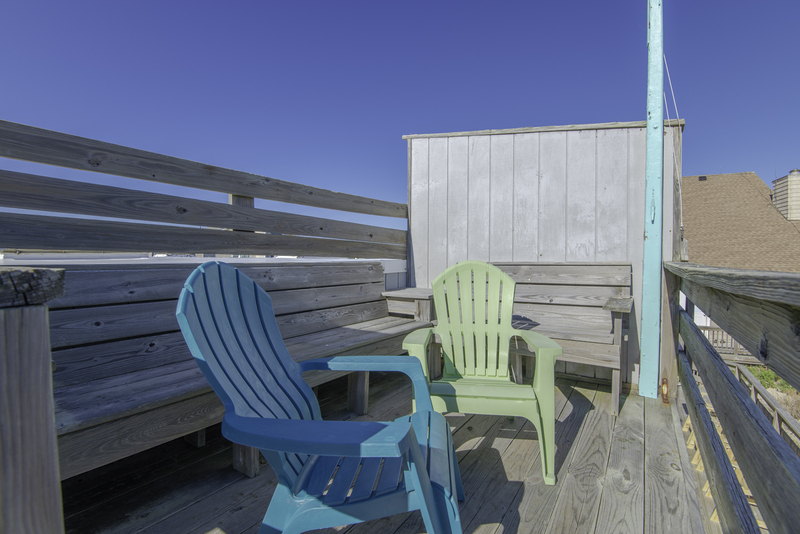 Great location, loved the crows nest with the great views. The house is clean, comfortable and well appointed. It was just what I was looking for. 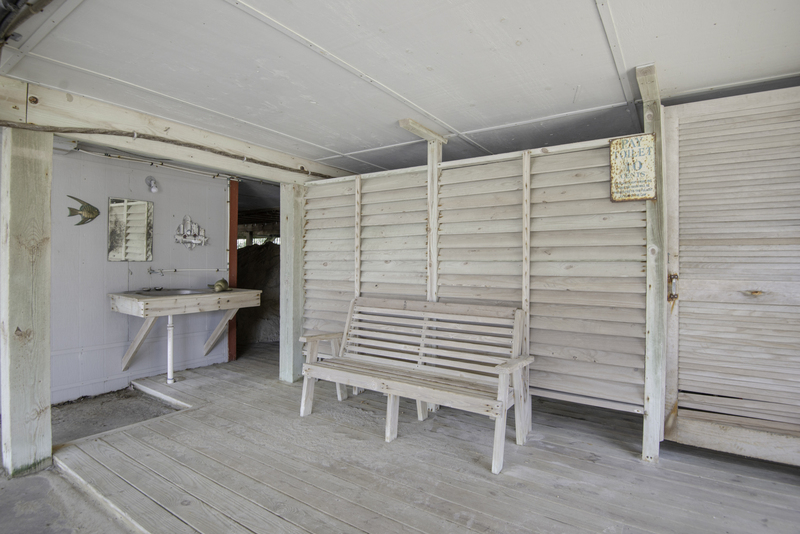 The Tannery is a wonderful beach house. We love the location & it's the perfect size for our family. The owners take good care of it & do updates as needed. This year we appreciated new carpeting and new sliding door & windows. Some of the window coverings and family room sofas were also new since our last visit. Everything about the house was great! 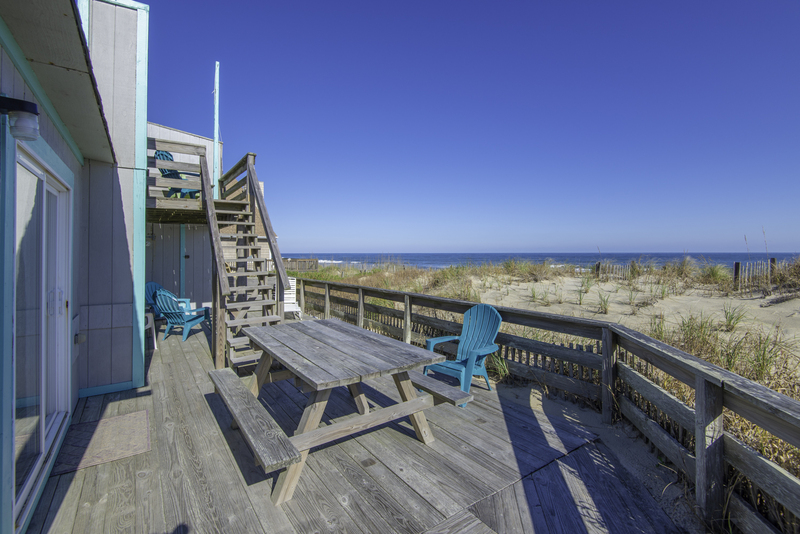 We enjoyed the deck, the outside table, the comfortable furnishings, and the well-equipped kitchen. 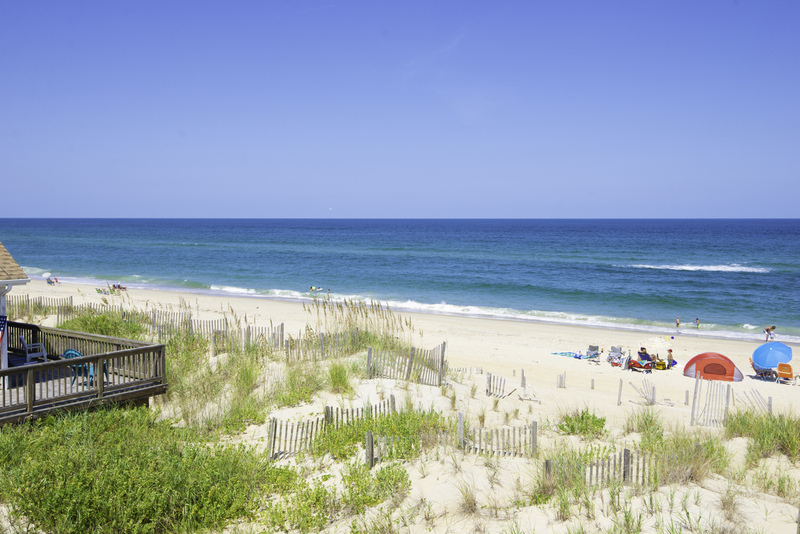 This was our 6th trip to the Outer Banks, and this is by far, the nicest most amazing house we have stayed in. Wouldn't want to stay anywhere else next time!! They do a great job making upgrades and changes each year. Kitchen is very well equipped! Love the Tannery, our first choice for vacation. Very nice home. Wish it was mine! Very satisfied with it. Wish the weather had been better. The overall renting experience was more satisfactory this year. Everything was handled very well.